Established in 1945, the Wisconsin Foundation and Alumni Association raises, invests, and distributes funds for the benefit of UW–Madison and other donor-designated units of the UW System. 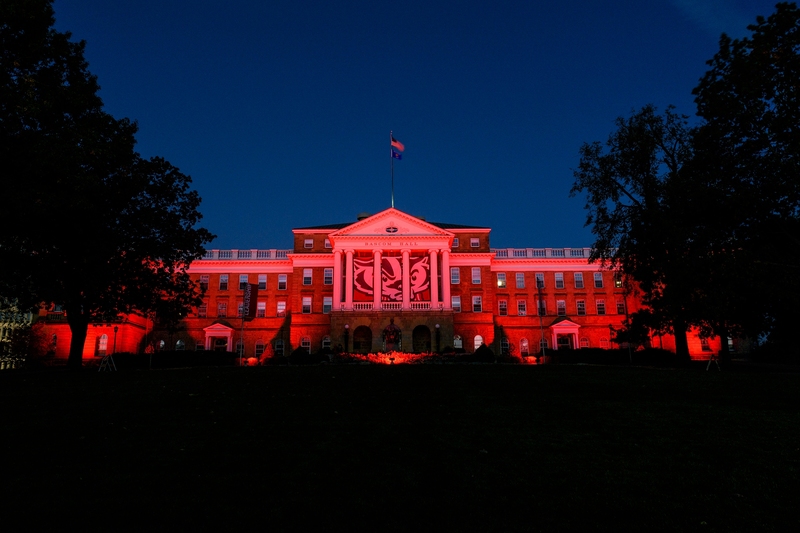 The Foundation is a nonprofit dedicated to advancing UW–Madison. For more information, please visit supportuw.org. Alumni Ted and Mary Kellner are adding to their legacy at UW–Madison, and they are doing so in a big way. The Milwaukee-area couple, whose generosity to their alma mater spans the campus, will make a $25 million commitment as part of the university’s current $3.2 billion All Ways Forward comprehensive campaign. The Kellners serve as co-chairs of that campaign. The Kellners have supported a wide range of programs at UW–Madison over the past several years, including athletic scholarships and facilities, notably Camp Randall’s Kellner Hall, which is home to the administrative offices of the Athletic Department; faculty support and a variety of programmatic initiatives in education and business; general scholarship support; and a large unrestricted gift to the Wisconsin School of Business Naming Gift. This latest campaign gift will continue to support many of these areas and extend to broader university priorities as well. Dr. Mary Kellner earned her bachelor’s degree in elementary education from UW–Madison in 1968, her master’s in guidance and counseling from UW–Milwaukee in 1978, and her doctorate in education from Cardinal Stritch in 2007. She is a former teacher, guidance counselor and coordinator of school-based programs to prevent drug and alcohol abuse, and she is involved in numerous initiatives aimed at reducing the achievement gap for youth in Milwaukee area schools. She has served as president of the Kelben Foundation, which was founded by the Kellners in 1983 and has provided more than 5,000 scholarships to help underprivileged students attend college. In addition to her backing of, and involvement with, numerous community-based activities in the Milwaukee area, she also served on the School of Education’s board of visitors at UW–Madison and on the foundation board at UW–Milwaukee. Ted Kellner earned a bachelor’s degree in business from UW–Madison in 1969. He is co-founder (in 1980) and former chairman and chief executive officer of Fiduciary Management, Inc., of Milwaukee, an investment management firm. Under his leadership, Fiduciary Management has grown to more than $25 billion in assets under management, making it one of the largest asset-management businesses in the region. In 1984, he cofounded Fiduciary Real Estate Development, which today manages more than 8,000 apartment units in southeastern and south-central Wisconsin. He continues to serve as executive chairman of that company, as well as T&M Partners, which he founded in 2016. Ted Kellner has served UW–Madison in many different capacities over the years, including stints as chairman of the board of the University of Wisconsin Foundation, president of the Wisconsin Alumni Association and president of the Wisconsin School of Business Board of Visitors. He was awarded the Wisconsin Distinguished Business Alumnus Award from the business school and received the Distinguished Alumni Award from the Wisconsin Alumni Association. He is one of the original participants in the Wisconsin School of Business Naming Gift. Earlier this year, he was honored as the 2016 Wisconsin Business Leader of the Year by the Harvard Business School Club of Wisconsin. He has also served on a number of nonprofit boards in the Milwaukee area, including those of the MMAC Children’s Hospital System, the Greater Milwaukee Committee, the Medical College of Wisconsin, Milwaukee World Festival, Inc., and the United Way of Greater Milwaukee. “Ted and Mary Kellner truly exemplify the best of the Wisconsin spirit,” says Michael Knetter, president and CEO of the Wisconsin Foundation and Alumni Association. “Mary has been active in helping translate the great work being done at the schools of education at UW–Madison and UW–Milwaukee to benefit children in the Milwaukee community and beyond. Her focus on these issues provides a great complement to Ted’s natural interests in business and athletics. “Ted is a larger-than-life Badger,” says Knetter. “He works hard, plays hard, and leaves the world a better place — and a more fun place.